This is a short report about the first contest of Multi-Agent Systems (MASs) that are based on computational logic. The CLIMA workshop series (which started in 1999) is a forum to discuss techniques, based on computational logic, for representing, programming, and reasoning about Multi-Agent Systems in a formal way. 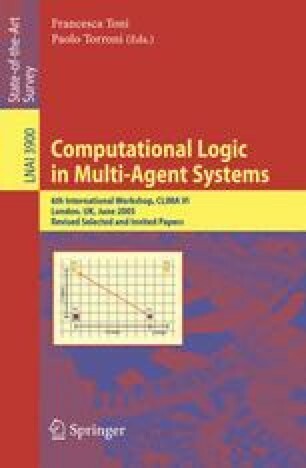 Now in its seventh year, it was felt that organising a competition for evaluating MASs based on computational logic was appropriate. The authors took on this task, which turned out to be quite difficult under the given time frame. We believe that this competition is a first (modest) step towards (1) collecting important benchmarks, (2) identifying advantages/shortcomings and, finally, (3) advertising the use of Computational Logic to the broader MAS audience, and foster integration of Computational Logic into existing agent-oriented software engineering frameworks.